Part of being on vacation is doing something I don't normally do. 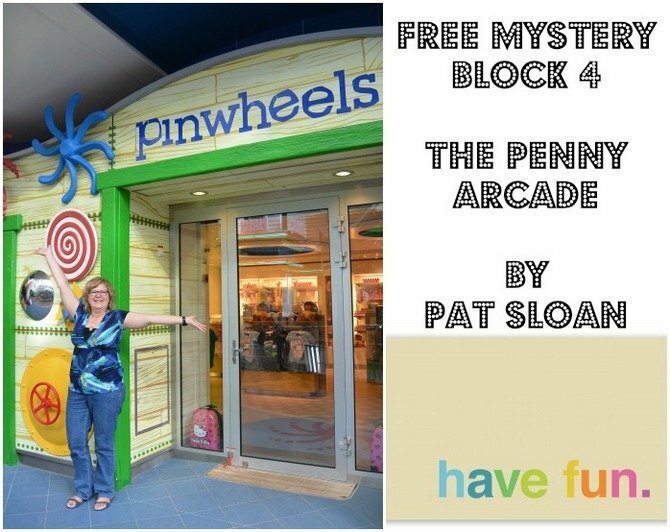 When walking the boardwalk, or taking a cruise, there is always a penny arcade. 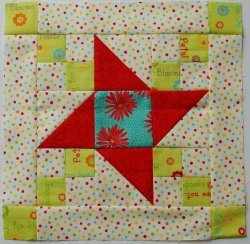 The fun sounds, flashing lights and spinning wheels inspired my block which is a friendship star set with in a chain. The difference between my Aqua and Navy this month is the center. 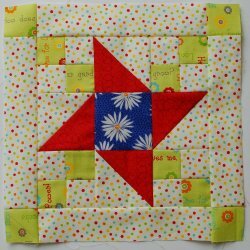 I am all about learning and in this video I show you a tip for making sure your patchwork comes together perfectly by 'butting the seams'. The photo above was from one of my trips where we had great arcade games and loads of things that any vacation should have!